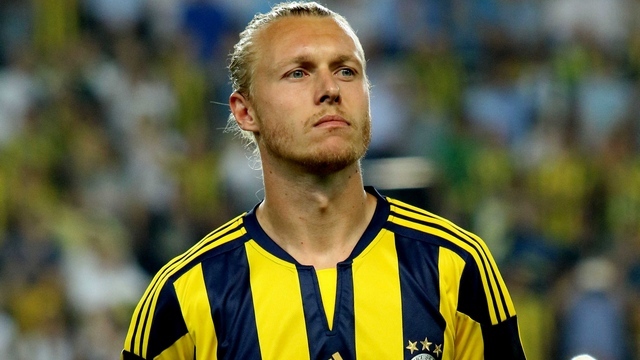 According to a report in The Sun, Arsenal have tabled a £10m bid for Fenerbahce centre-back Simon Kjaer as Arsene Wenger lines-up his second signing of the summer. The boss has already snapped up left-back Sead Kolasinac on a free transfer from Schalke but it looks as though he’s keen to add to his defensive options even further. Arsenal enjoyed huge success during the closing stages of last season after switching to a back three but the formation change means we need more cover in defence. Laurent Koscielny is a certain starter when fit, Rob Holding made a huge impact after coming in to the team and Shkodran Mustafi showed enough quality to convince Wenger he was right to spend £35m on him last summer. However, Gabriel is currently out injured with a knee ligament problem, Per Mertesacker played just one [superb] game last season while Calum Chambers needs to resolve his future after being sent out on loan last year. It all means we’re in the market for a central defender and The Sun are citing a report from Turkish outlet TurksVoetbal that claims Arsenal have now submitted an opening £10m offer for Kjaer. The Danish international has been impressing during his two-year stint at Fenerbahce and The Sun claims Liverpool were quoted over £17m so we may have to increase our offer if we want to get a deal agreed. The 28-year-old stands at 6ft 3″ and is a no-nonsense defender so he’d add some physicality to our backline if we do end up bringing him to the Emirates this summer. However, I just hope that if we do sign Kjaer it won’t stunt the progress of Holding as he has the potential to be a top class centre-back and I’m not convinced Kjaer would be an upgrade on our youngster.